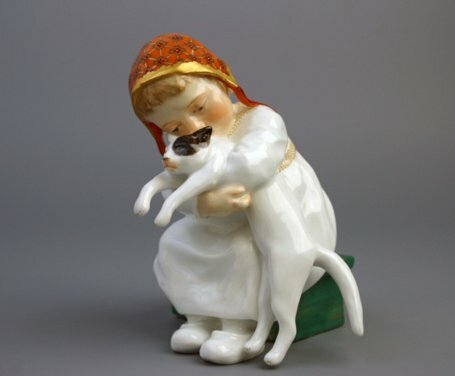 Description: Meissen figure of a child holding a cat from a series of fourteen 'Hentschel Kinder' modelled by Konrad Hentschel between 1904-1907. Mark Info: Crossed swords in blue. Incised model number W 121. Impressed assembler's number 8 and painter's number 33 in green.